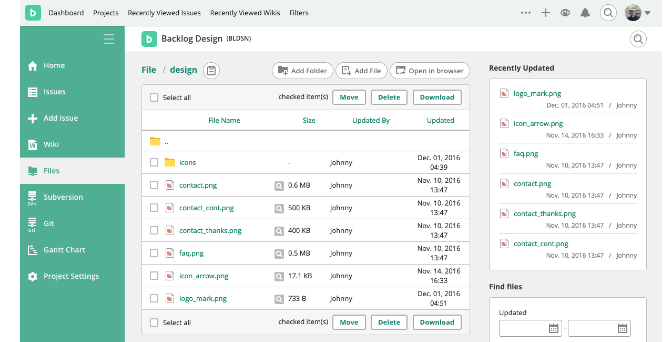 Files can be shared among Project members. Each Project has one folder for shared files. Administrators and Normal Project users can access this folder. This shared folder for your Project" can be accessed from the Windows' Web Folder or Mac OS X's Finder. Uploading and downloading files can be done by drag-and-drop. Also, you can access the shared folder from the "Files" section of Backlog Projects using web browsers.